What do you get when you combine one of America’s oldest and most beautiful theatres with America’s only cult classic horror comedy musical? You get an audience clad in fishnet stockings, corsets and party hats having the time of their lives. 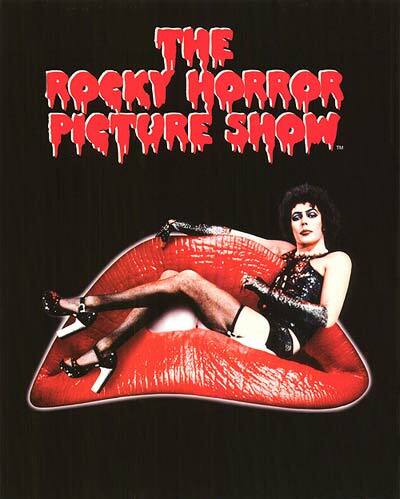 And that’s exactly what happened on Friday night as the 2015 Orion Summer Movie Series at the Orpheum wrapped up with its traditional showing of a very untraditional film, The Rocky Horror Picture Show. Rocky Horror fans know that props and audience participation are as much a part of the experience as the film itself. And this showing did not disappoint. As you would expect from a 125 year old theatre with a storied history of hosting kings, presidents and other dignitaries, The Orpheum provided toilet paper and rubber gloves to every audience member. And as you would expect, the audience knew exactly what to do with them. When it was over all who experienced it, even the newcomers with the red V’s on their foreheads, were ready to make like the Time Warp and do it….AGAIN. And so are we, when does the 2016 Orion Summer Movie Series start? Posted in September and tagged Orpheum Summer Film Series. Bookmark the permalink. More Additions to the Orion Team!